Grass cutting and lawn care. Hedge cutting and leaf clearance. We take great pride in our work and know that gardens are forever evolving. Our garden care team is always on hand to answer any questions you may have or talk through ideas of where your garden could be improved. Gardens evolve and change through the seasons and take time and effort to keep them looking their best. Richard founded his garden maintenance company Key Gardencare in 2005, to provide the same first-class service to his clients as his Landscape Design company. His trusted team of gardeners bring everything required to look after your garden, so you really can just sit back and relax. An initial consultation is advised so Richard can meet with you and have a chat about what it is you require and how often, so he can be confident his team of gardeners know what is needed to ensure your garden always looks beautiful. We can visit weekly or fortnightly, while some clients prefer an ‘ad hoc’ service, calling on us to undertake specific tasks such as restoration of neglected gardens, hedge trimming or patio cleaning. Richard is a Fellow of the Society of Garden Designers, and an award-winning gardener and garden designer. His in-depth horticultural knowledge provides an extra layer of expertise. Passionate about gardens, Richard has many years’ experience with all aspects of garden maintenance. 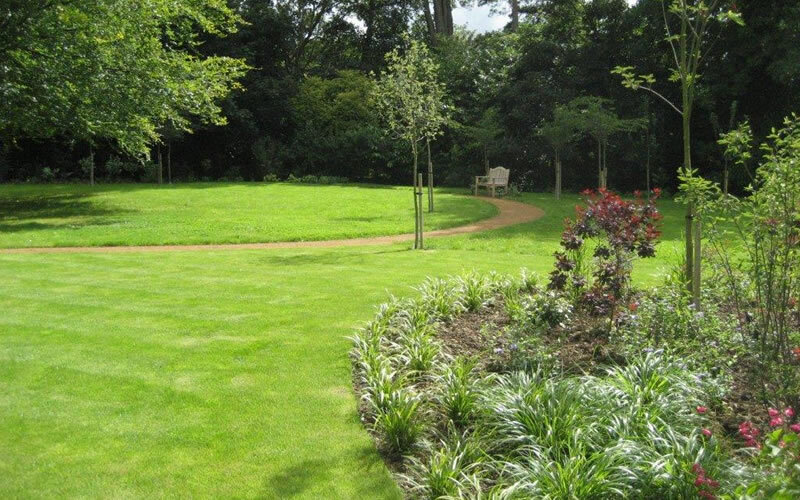 Private Garden Maintenance Services in Bucks and Oxfordshire include, but are not limited to, the following: Grass cutting and lawn care. Hedge cutting and leaf clearance. Driveway and patio cleaning. Restoration of neglected gardens. Weed control pruning and training. Pots and hanging baskets. Timber treatment. Planting schemes. If you are looking for a gardener or regular garden care contract, we can help.